Whether out on vacation or in a meeting, it's important to be able to easily catch up on what's happened while you were away. 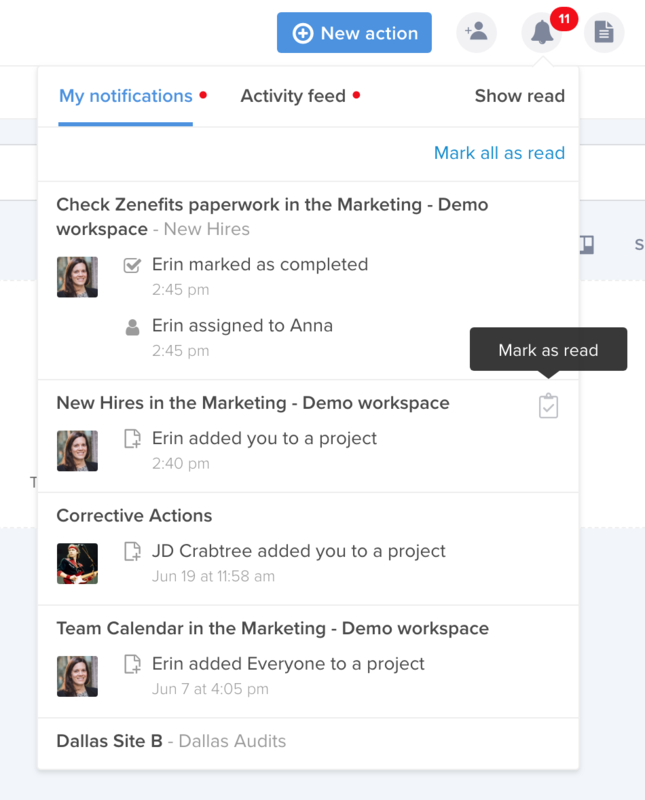 Hive notifications makes it easy to keep track of these critical changes. To access your notifications, click the bell in the upper right corner of the app. If you have something new to review, a red dot will appear next to the bell. It will include a number showing you how many items you have to review. The goal is to make it easier to find what you need. So when you want to know about changes to work you are assigned to, you check My notifications. 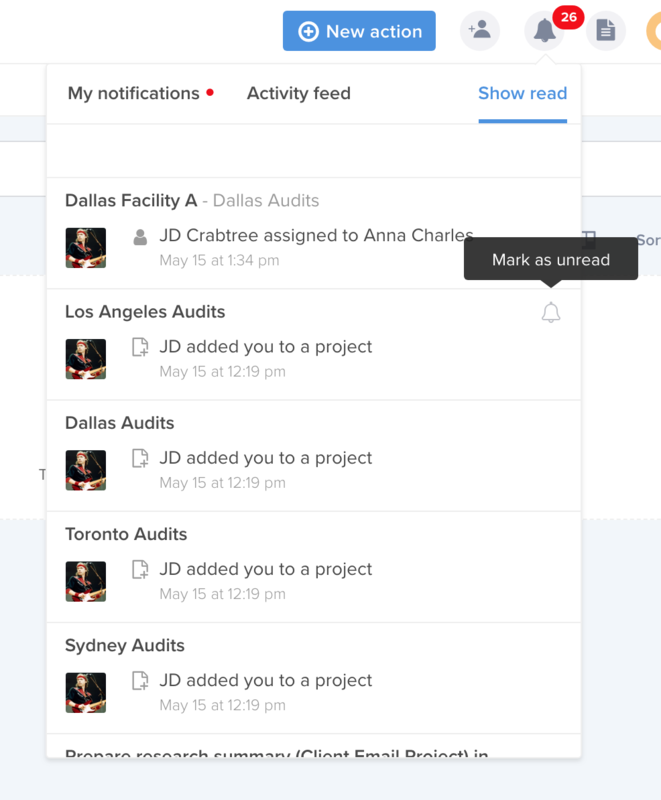 If you want to check on work you've assigned to others, then you go to Activity feed. To reduce the overwhelmed feeling that too many notifications can give you, the bell will only show the number of new notifications in the My notifications list. 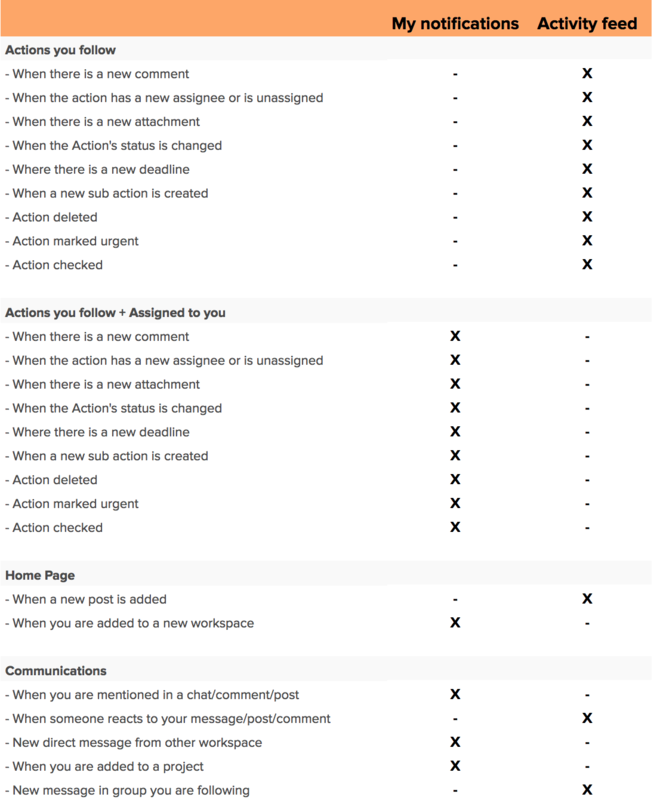 See below for a breakdown of when a notification arrives in My notifications vs Activity feed. So when you see that red dot appear in your notifications bell, click it open to see what's changed. Again, the red dot will only show the number of new notifications from the My notifications list. You can click each item to go to the specific action card or message it references. To clear it out of your list, just click the "Mark as read" button. If there are new items in your Activity feed, it will show a red dot in next to the list in the notifications window. To go back and review and item you have already marked as read, click the "Show read" tab to go back and see old notifications. You can select the "mark as unread" icon if you want to move them back to your notifications list.